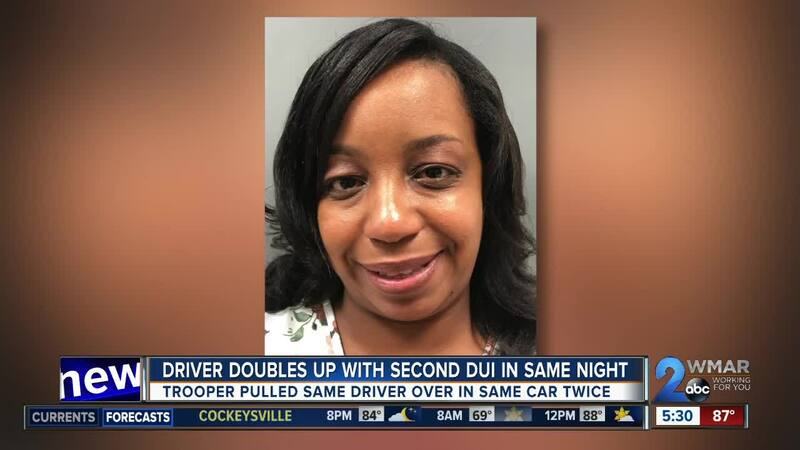 Maryland State Police arrested and charged a woman twice in a span of 20 minutes for a DUI and a DWI. 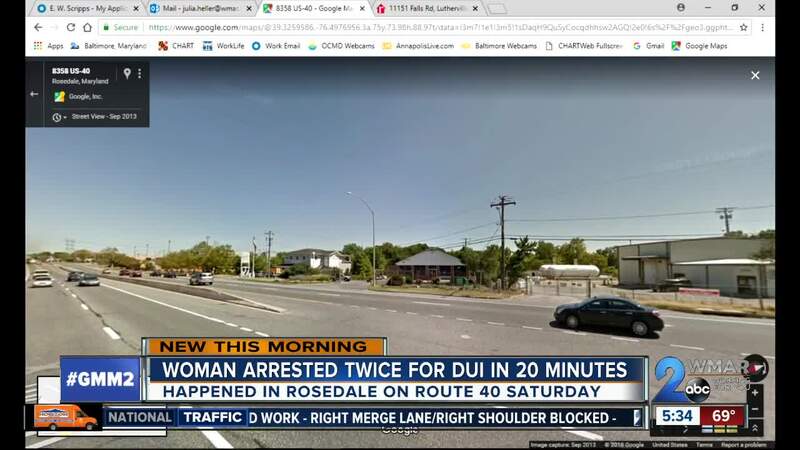 Officials say that 33-year-old Stephanie Ringgold was first stopped during a traffic stop a little after midnight when a trooper noticed that she was speeding while passing a car that was on the shoulder. The trooper noticed that she was impaired while in the car with a 4-year-old, a 6-month-old and another passenger. Ringgold was then arrested and processed at the Essex Precinct where she was later released to a sober driver. Then twenty minutes later, the same trooper that arrested Ringgold saw her get dropped off at her car while she proceeded to enter the driver's seat and drive away. The trooper, yet again, stopped the vehicle, noticed that she was still impaired, and arrested her for the second time. Ringgold was held at the Towson Precinct and was charged again with DWI, DUI, DUI per se, and driving a motor vehicle within 12 hours after a DUI arrest. She was later released to a sober driver and is awaiting a court date.